yeah i've kinda been tossing around that idea but would cost more money that i don't have haha! So looking for a front dana 44 for my comanche now. Got some questions and wanting some advice. First of all, but rigs will have a dana 44 with my bolt pattern and driver drop and same width? I know theyre rare but just trying to do my homework. 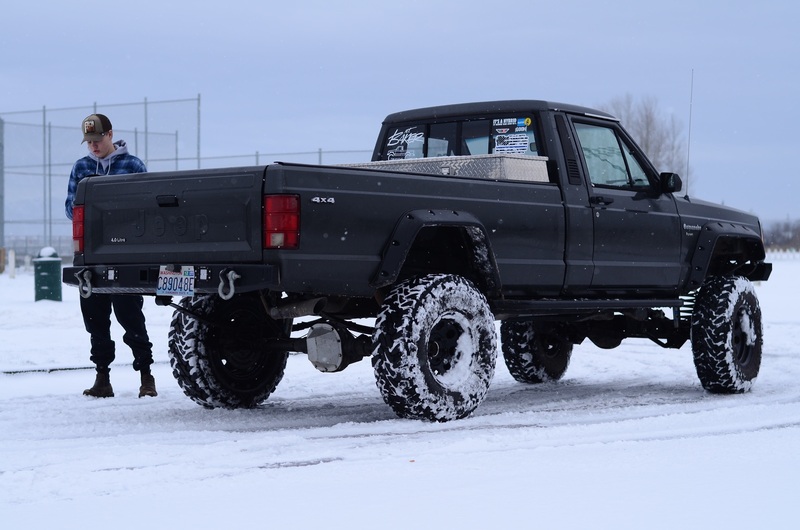 Now, I got a buddy selling fully built mathcing dana 44s with RCVs, lockers, 4.56s, and trussed and set up for a 3 link for 3,000$. Do yall think I should just go with that? I just don't need a rear 44 because I have a ford 8.8 already and I also don't want to just go and drop 3,000$ right now. Thanks yall! Haven't posted on here for a long time. Kinda of sad, I used to do so much to my comanche. Now I got some new stuff lined up though. Buying a PSC hydro set up when I get my tax return and now looking for a front dana 44. I want a selectable locker and 37s by august. Going to completely re do my suspension in the next few months. Long arms, maybe front coil overs, we shall see. Just starting to research but I am excited to get back into it again. So does it bolt straight in? Wanting to do the Durango steering box upgrade. My stock box is giving out here after 250,000 miles. What year Durango box should I go buy, I want new, and what else will I need? Thanks y’all. Haven’t posted on here in forever! What are these vacuum lines? Just noticed some of my posts dissappered, like my very first update to this thread. Its to bad because I had good pics of it when I got it.